This site represents a series of new media documentary projects by Sharon Daniel that reveal social and economic injustice across a spectrum of public institutions – the criminal justice system, the prison industrial complex, the public health system, and the public education system. The series documents and analyzes testimony and evidence of how state institutions, social structures and economic conditions connect in a causal chain (from inequality in health care and education to racial and economic discrimination in the justice system) that fosters and perpetuates social injustice. The projects represented here include Public Secrets, Blood Sugar, Inside the Distance, Undoing Time and work-in-progress toward the completion of In the Fourth World. These works are available as interactive web documentaries and installations. The injustices of the Prison Industrial Complex are public secrets -- secrets that the public chooses to keep safe from itself like, "don't ask, don't tell." Public Secrets provides an interactive interface to an audio archive of hundreds of statements made by incarcerated women, which unmask the secret injustices of the war on drugs, the criminal justice system and the prison industrial complex. Visitors navigate a multi-vocal narrative that links individual testimony and public evidence, social theory and personal statements, in an effort to engage the public in a critical dialogue about crime and punishment and challenge the assumption that imprisonment provides a solution to social problems. 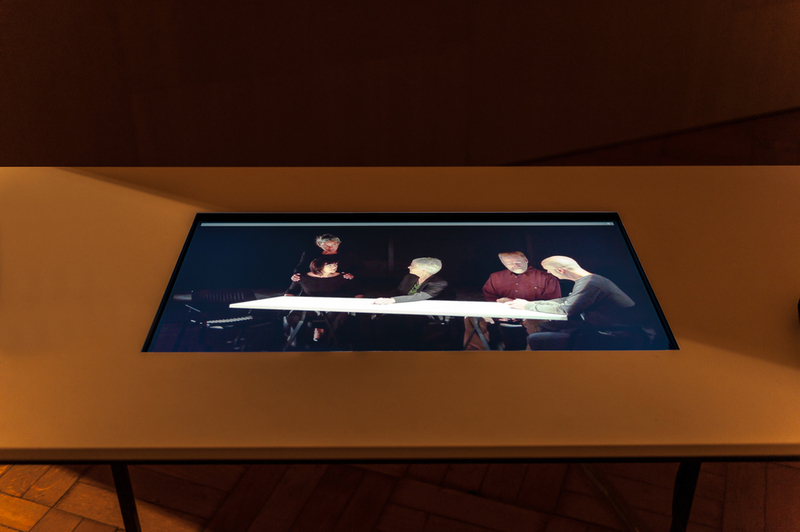 Visitors navigate a multi-vocal narrative that links individual testimony and public evidence, social theory and personal statements, in an effort to engage the public in a critical dialogue about crime and punishment and challenge the assumption that imprisonment provides a solution to social problems. BLOOD SUGAR examines the social and political construction of poverty and addiction in American society through the eyes of those who live it. Because addicts in the US must fear encounters with regimes of enforcement they are afraid to be seen -- but they do want to be heard. Theirs are the most important voices in the discourse on addiction, public health and poverty and in the US. BLOOD SUGAR provides an interactive interface to an audio archive of conversations with 20 current and former injection drug users recorded at the HIV Education and Prevention Program of Alameda County and in California state prisons. Visitors to this web-based documentary navigate a multi-vocal narrative that links individual testimony and public evidence, social theory and biological research. In Undoing Time the statements of men and women in prisons across California – those whose voices are rarely heard in debates on criminal justice policy, legislation and governance – are inscribed into products that are produced in prison factories. Each inscribed product is part of a multi-media installation module, which can be exhibited independently or in conjunction with other installation modules from Undoing Time. In each module the inscribed product is accompanied by a video or audio portrait of the quoted prisoner reflecting on his or her own experiences through speech and/or gesture. For example, in Undoing Time/RELIQUARY (above) and Undoing Time/HAUNTINGS (right) the boots and mirrors made and used by prisoners throughout California are labeled with QR codes that link viewers to the full audio of the interview from which the quote etched into the object is taken. Scroll down for documentation of two video portrait installation modules, Undoing Time/PLEDGE and Undoing Time/ S.O.S. In the installation Undoing Time/PLEDGE a video portrait co-authored with former prisoner Beverly Henry (who worked in a California prison flag factory while incarcerated) is installed with two American flags produced in the flag factory where she worked during the years she was incarcerated at the Central California Women’s Facility. The text of an op-ed piece Beverly wrote on the 254th anniversary of Betsy Ross’s birth is embroidered into the stripes of the flags. In the video Beverly performs a symbolic act – undoing the stiches of one of the flags made in the prison factory - while she describes her own search for equality and democracy as a socio-economically marginalized person. In the op-ed text, and through her recorded statements, Beverly’s reflections on the promise of life, liberty and the pursuit of happiness that the U.S flag purportedly represents, challenge us to examine the structural inequalities at the root of the extraordinary expansion of penal confinement in the United States. Scroll down for documentation of Undoing Time | S.O.S. In Undoing Time/S.O.S. targets produced in a prison print shop for police shooting practice are paired with a video portrait/interview of “Franky” - a 21-year-old man who, as a member of California’s notorious Norteño gang (both in and out of prison) has been trapped in a cycle of violence and punishment since he was 12 years old. The targets are perforated with laser-cut text - quotes that describe Franky’s experience as both a gang soldier and target of state and gang violence inside the maximum security facilities he has inhabited. Undoing Time | Amends is comprised of four parts. Each of the four 8’ x 12’ flags addresses a particular way in which the constitutional rights of prisoners and poor people of color are violated by the criminal justice system. Embroidery in the stripes and star-fields of each of the four flags juxtaposes quotes taken from constitutional amendments and related Supreme Court decisions with the testimony of individuals whose rights have been violated. A quotation from the fourth amendment to the constitution, which protects against “unreasonable searches and seizures,” and a statement by Justice William O. Douglas from his dissent in the case of Terry v. Ohio (1968) in which the Supreme Court upheld the constitutionality of the practice of “Stop and Frisk,” are embroidered into the stripes of the Flag. Each of the fifty stars in the star-field of the flag bears the name, age, location and date of death of an unarmed black man or woman killed by police. In front of the flag hang three black hoodies with holes that match the pattern of bullet wounds in the autopsy reports for Trayvon Martin, Tamir Rice and Laquan McDonald. The wall text for the three hoodies references the influence of David Hammons’ In the Hood (1993). In the center of the four Amends flags there are three stacks of targets, originally produced in a prison print shop, that have been shot to match the pattern of bullet wounds in the autopsy reports for Michael Brown, Malissa Wiliams and Ezel Ford. Amends | excessive force (8' x 12’ United States flag produced at Central California Women’s facility with custom embroidery by the artist, three stacks of paper targets printed in a California Department of Corrections print shop and altered by the artist, three black ‘hoodies’ altered by the artist). AMENDS | CIVIL DEATH addresses felon disenfranchisement. Quotes from an interview with former felon and founder of Florida Rights Restoration Coalition, Desmond Meade, and portions of the 14th and 15th amendments to the constitution regarding the right to vote, are embroidered into the stripes of the flag. Each red cap is embroidered with a statistic about the impact of felon disenfranchisement on communities of color and the results of the 2016 presidential election. The eight amendment prohibition against cruel and unusual punishment is embroidered into the stripes of the "social death" flag. The flag faces an interface to an archive of depositions and interviews describing the experience of solitary confinement and documentation from the class action suit Ashker v. Brown. This work is in progress and will eventually include white jumpsuits (the uniform for men in solitary confinement) embroidered with the testimony of the representatives of the class in the Ashker suit. Part of an interview with San Quentin prisoner, Keith Stark, is embroidered into the stripes of the flag. In his interview Keith describes the potential for violence on the “yard” in level four (supermax) prisons. This violence is often prompted by guards as a kind of sport on which to wager. The star-field is embroidered with a quote by Aleksandr Solzhenitsyn on the relation between as society’s level of civilization and its treatment of prisoners.